Read online "... 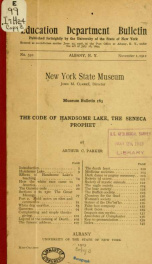 The code of Handsome Lake, the Seneca prophet 1" by Parker, Arthur Caswell, 1881-1955. Instant free e-book download at OnRead.com.